Welcome to Show Us Your Life Friday!!! You can find all the other "Show Us Your Life" posts HERE! When I was pregnant with Harper - I did a little blog polling about what I really needed for a baby and what really wasn't necessary. It helped me a lot so I thought it would be great if we all shared again and then all of those who are pregnant or hoping to be pregnant can refer to this! The thing to remember is all babies are different - so what worked great for me - doesn't mean it will work for you but I am still happy to share my experiences! 1. Bouncy seat - I had one made by Boppy. This was one of our best buys. Harper slept in it for the first probably 8 weeks of her life. It was also a great place to lay her down and it always kept her happy and calm. We had to quit using it around 4-5 months once she started climbing out. 2. Boppy Pillow - if you are nursing - I highly recommend it. It was the perfect fit for Harper to lay on and it made it so comfortable. We are still using it. She took a lot of great naps on that boppy pillow. 4. Swing - we had a Graco swing. Pretty much everything we bought was neutral colored so if we have a boy we can re-use. At first Harper HATED the swing but eventually she liked it. She took a few great naps in this as well. We quit using it around 5 months because she kept trying to climb out. 5. Exersaucer - she didn't like this at first but it's been a lifesaver for the last 3-4 months. She loves being in it and she sits in it every day and plays and eats a snack and just laughs and has so much fun. And I can cook dinner or take a shower! 6. Car seat/stroller system - we bought one by Graco and have loved it. We have taken a lot of walks in her stroller both when the car seat was in it and now facing out. And it folds down nicely. It's been great for shopping or walking. 7. Bath tub with sling - Harper loved bath time. We always used this in the kitchen sink. Just in the last month we have started giving her a bath in the bathtub sitting up and it is so much better - we both love baths this way. But her little bathtub worked great (a yellow $20 kind from Wal-Mart). 8. Humidifier - We have a cool mist and a warm one and they have both been important and have helped Harper sleep. I highly recommend having both. 10. Praise Baby DVD's - we have Baby Enstein but Harper is not the biggest fan but she NEVER gets tired of these and the music is so soothing and inspirational. It's a blessing to me and her. 1. Diaper Genie - I don't know if we didn't like it - we just opted out of this. It's been plenty easy to keep a small waste basket and just empty it in our big trash barrell every other day or so. 2. Wipes warmer - just never wanted to take the time to use it and since the hospital didn't use one - we never even tried. 3. Bumbo - I liked this but she probably only sat in it a few times for me to take pictures or maybe a few minutes a day. I was always worried she would fall over in it so I really didn't use it much. Probably not worth the money to me. 4. Sling/Baby Carrier - I had two different kinds and Harper HATED both - never used either one. But a lot of babies love these - so you never know. 5. I spent a lot of time worry about bottles and we have yet to use any. ha! Harper has probably taken less than 5 bottles in her life. 6. Swaddler blankets - regular blankets worked just fine and Harper really didn't love being swaddled after a few weeks anyway. Crawl or walk over and show us what you used! I love your helpful hints. I can't wait to have a grandbaby (maybe someday). its so funny how everyone has their favorite gear. i also don't like the baby genie - its nasty to change that thing! easier to just wrap every diaper in a plastic shopping bag and throw it in the trash. but swaddling blankets....i swear by those things!!! my babies WOULD NOT SLEEP unless they were wrapped tightly in one. they could get their arms out of everything else! Harper is getting so blonde! She's gorgeous! I have to agree with you about the sling... We bought a rather expensive one back when we had our first child in utero, thinking it would be a great way to bond, anyway I had a car accident, during the pregnancy, and experienced neck and back injuries. When it came time to try the sling, it caused terrible pain while using it. Also I found it hard to bend and to do household activity with it on, which was partly why we got it in the first place. WE are still using the same baby equipment with bubs 3 & 4 that we bought for no.1, except for the pram ( we needed a twin pram), and we've converted to glass baby bottles, because of the chemical content in many of the plastic ones. I HATE unsolicited advice and here I am about to give some:) Sorry! As the mother of a 13 yr old and a 6 year old, I would recommend SKIPPING the bottles after breastfeeding. If you are going to wean Harper, go straight to the sippy cup~~it is just one less 'thing; to have to try and stop. Kelly, I HIGHLY recommend the Ergo Carrier if you ever wanted to try to use one. It can be used for even the heaviest of children (tested for up to 90 pounds). It's VERY easy to use and helps in those situations where a stroller is hard to manuever (and we all know how heavy a baby can get!). I loved our one Praise Baby DVD we had. My son watched it more because it had humans in it. I grew tired of the praise songs being played over and over. I need to buy a few more for our next baby, due in April. I just read another commenter and I agree skip the bottle if you can just go to a sippy cup. 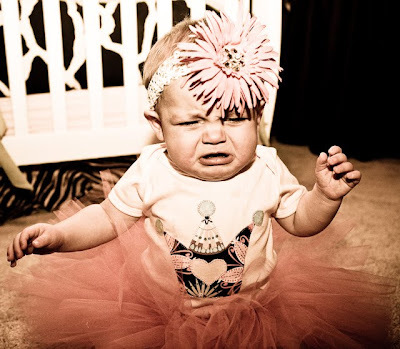 My daughter weened at 9 months and never took a bottle. She went straight to warm formula in a Gerber sippy cup. They flow faster and hold 8 ounces. And they make them easy for babies to grip when they learn to do that. We have since switched to Playtex or whatever brand I pick up. Good luck weening I know you are about to do that with your trip coming soon. I think I have the male version of Harper. We live in Bentonville too and have a mutual friend, Kacy. Nolan uses the bouncer instead of the exersaucer (hey, it was free from my sister), but he actually uses the Bumbo for about 5 minutes a day while I dry my hair. I haven't seen the Praise Baby DVDs, but will have to check them out. I have to agree with you on the other must haves. He also hated swaddling and the sling, and he will not take a bottle from me. He's now 5 months old and I'm already researching sippy cups for when we make the transition to real food. And with all of the parenting books out there, I would say my favorite to date is 'The Many Loves of Parenting' by Thomas and Nanette Kinkade. I just finished it. It's great and I would recommend it to any parent, new or seasoned, out there. it was so fun to read your list! We are putting Praise Baby DVD's on our C-mas list! I'm so glad you did this! We are expecting our first baby in February and I am very unsure of what I actually need and what will just collect dust. Thanks so much for the help! Thanks so much. My baby sister is due today to have her first baby. My blog tomorrow is about things that are universal to pregnant women and new moms...I might just have to add some baby items as well. I will surly send her to your blog for this one...lots of great suggestions. 1- where did you get that cute car toy?! I have to get one for my 8 month old son!!! 2- where did you get your highchair from? it looks like such a no fuss highchair compared to mine that is such a pain!! I had a post prepared, but it has almost the exact same things you have as your like/don't like, so it would just look like I copied yours! Haha! Maybe next week. I think this is a wonderful idea, I wish I had something like this before I had Riley. I was wondering if we could maybe do a toddler gear post as well (car seat, stroller etc.) And maybe a favorite toys by age group, could save us some money and get some great ideas for Christmas and birthday gifts! Just a thought, I bet many of your readers could benefit from these! Harper is beautiful as always, thanks for sharing her with us! I can't wait to put this post to good use over the next few months! Even being a former nanny, I'm still clueless of what to buy/not buy - plus I hate to waste money on useless gadgets!!! My list would be the same as yours so I am not going to link up. I can't believe that everything you all didn't use or like was the same as us. A lot of the things on the didn't use list are really popular baby shower gift and I wish I would have know that we wouldn't have used them. I think this is a great idea for new/expectant moms!!! This was really fun! Thanks for hosting this =) Harper's getting so big, she's really going to be a beautiful little girl! Thank you for posting a link to the etsy store where you bought the crown onesie. You always have Harper in the cutest things and I love etsy so nice to know which stores you are getting them from. Love reading about your's and Harper's adventures. I loved this post! Things like this were so important to me when I was pregnant. I agree with you about the Bumbo - Aaron only used it a short period of time. And, you are right, the Pack N Play is a wonderful clothes hanger! HA! It is so funny how each baby is so different! We've LOVED our bumbo so much that when we found out we were expecting twins, we HAD to get a 2nd bumbo. We use that thing for everything, AND have the tray for feeding. Love it. AND Swaddler blankets--we've loved those too :) My babies all sleep like their dead (in a good way) with them, but now we are trying to wean them off the swaddler. Love this super fun meme!! 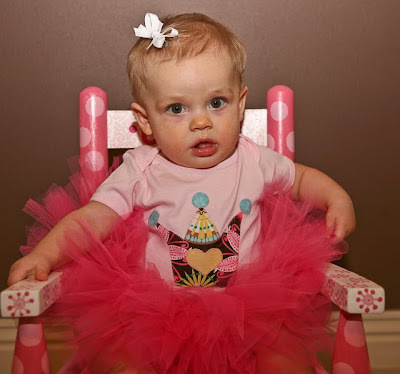 I LOVE Harper in her little Tutu! We too loved the Bumbo. However, I ordered it from Bumbo and it seems like the leg slots were wider than the ones in stores. May be my imagination, but several friends said the same thing. We just put on the play tray and used it instead of a high chair. She just sat on the table in restaurants (we requested a booth for wall support). That was I knew it was sanitized and safe. I think it and the pack and play were the most useful things we had. This baby may not even like the Bumbo since each little one is different. Kelly! I bought my nephew a walker last Christmas when he was 6 months and he loved it! Personally I highly reccomend it. I don't think there is a safety issue involved as long as you watch them and your house is baby proof. Mason started walking at 9 min. Also! So I'm not sure if it was due to the walker or just bc he was an advanced baby. He rolled over at 4 weeks exactly, got his first two teeth at 3 months and had 15 teeth total on his first bday. I think Harper will love the walker!!! Kelly, I absolutley love this weeks "Show Us Your Life". I'm getting far enough along in my pregnancy now where its time to start thiking about what items we want for the baby and its tough to get started when you have no idea what works well etc. Thanks so much for this post! wasn't going to comment, but after noticing Tammy's, thought I'd say... ITA. It will be so much easier if you just go straight to a sippy cup. Neither Isaac nor Elijah cared for bottles and had no trouble using a sippy. I kept Elijah on water only until after I weaned him at 18 months. It was a lot harder to get Abigail and Noah to change... in fact, I think they stopped at the same time. Just a quick note--Bumbo Baby seats are especially helpful to us Mama's of BIG babies. They outgrow the infant seat before they are big enough for high chairs (especially at restaurants). We found the Bumbo to be very helpful with our BIG boy. But all my friends with smaller babies said it didn't work as well for them. I don't have a blog, so I'll leave a couple of suggestions here. I have two kids--a 23 month old boy and an 8 month old girl. We also live in a small apartment in a big city and don't have a lot of room for big equipment, nor do we have storage for outgrown equipment to be stored for the next baby, so we went without a lot of items, which has been just fine! 1. BumGenius Pocket diapers-these are super easy for anyone to use, including grandparents and babysitters. 2. Chicco Keyfit 30 infant carseat-it goes up to 30lbs. and 30 inches, so our daughter still fits into it, even though at 8 months, she would have long since grown out of most infant carseats. 3. Britax Boulevard-easy to use, comfortable, will last a long time, great safety ratings. 4. Phil and Teds Sport double stroller-I wish we would have bought this stroller with our first baby and then just had to add the doubles kit when the second was born. We love it, and I highly recommend it if you have two kids reasonably close in age. 5. JuJuBe Right Back diaper bag-nice and big, high quality, cute, lots of zippered pockets. 6. Ergo carrier-I use this for both of my kids and it is very comfortable, even for carrying my two year old on my back. 7. Moby Wrap-I love this carrier for the newborn stage when they sleep all the time and just want to be held. 8. Maclaren Volo-great lightweight umbrella stroller for quick outings or small spaces. 9. Pack and Play and Peapod baby tent thing. Both have gotten a ton of use. The Peapod is great for traveling since it is so lightweight and compact, but we do use the Pack and Play at home a lot too. 10. Stokke Tripp Trapp high chair. Doesn't look like a high chair or take up a lot of room, and it is endlessly adjustable. A little pricey, but we're so glad we splurged on it! My biggest piece of advice would be to wait to buy pieces of equipment until after the baby is born. Some babies love riding in strollers and hate slings and vice versa. Some babies like swings, bouncy seats, some don't. Some babies take bottles, some don't. Etc, etc, etc. You can always buy stuff new or used or borrow it once you figure out what things you want and would use, which is much better than buying a bunch of stuff that doesn't work for you but cost a lot of money and takes up a lot of room. I'm a new fan/reader of your blog. Harper is a doll. Love this idea! I was so intent on having the right gear that I had my best girlfriends (both moms) go with me to register. I'm looking forward to seeing the posts as I'm in the market for a new stroller. I 2nd the comment about the ERGO...LOVE mine! I'm such a dork, I gave you the wrong scripture reference yesterday. Ah! I gotta stand up for my Diaper Genie AND my wipes warmer AND my swaddler blankets. Once you get used to changing out the Diaper Genie, it is a breeze to use and it's SO VERY NICE to have a quick place to stow those nasty diapers and keep them from smelling stinky (while saving you 8,000 trips to the garbage). And the wipes warmer is so nice, especially at night when you're trying to change the baby without waking him up too much -- cold wipes would wake anyone up out of a deep sleep!!! And the swaddler blankets have been invaluable to me, especially as a worry-wart mom. I still swaddle my 3-month-old son, so I know he won't get a blanket on top of his face and he's snuggled and warm. I swear by all three of these products! You did have a button on your blog for the place where you got some of Harper's shoes, especially ones for newborns. I don't see that link anymore. Can you post the website for me. Thanks! From your previous post, we love our Sunshine Kids radian XT carseat:) If you google Kyle David Miller foundation, they have great info on carseat safety and e-mailed me with suggestions. It's been 7 + years since having Carly. Way too many new items out there now. I found it the exersaucer and walker to be wonderful items and used them both often. Makes me wish for another one! Guess I'll just wait for grand kids one day! We love our Peg Perego stroller that our older children can stand on. We are on our second one. They last forever, I loaned our first to a friend and it still works great. Also, we have a Britax car seat this time around (child four). I don't remember the style but it is pink with brown polka-dots. So cute! But, it is also so easy to use. It is bigger and heavier than the seats we had with our first three, but I feel like it is safer. It has little extras that other seats don't have, like velcro to hold the straps back while you try to get your child to sit down! It has a little pouch to hold some of the extra straps. These things may not mean much if you haven't used seats that don't have these little things. These are things that have driven me nuts about our other seats. Also, the straps have yet to get twisted, which has happened with all of our previous seats. Our daughter is 20 months but just 20 pounds so she is still facing the back. I read this is safer anyway. The seat is comfortable for her and has a nice recline for her to relax or sleep. Just a couple of things we love! Hey Kelly- Thanks for sharing some great products. Remember babies develop best when they're not in a "baby trap". 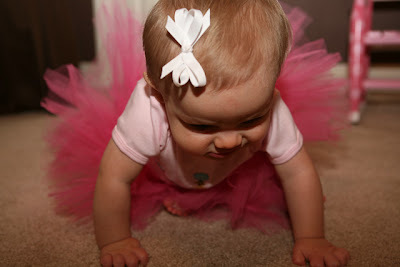 When on the floor they're free to explore and use those large muscles and practice gross motor skills. I didn't get to read all of your comments about the walker - but I think that's a big concern about the walkers not everyone thinks about. That's a big reason walkers are thought to hinder their development. She's been walking for almost 5 months now, but she still loves to push it around...and it transitions to a car, and she loves that too. If and when I have a baby, this post and the links will be invaluable! Thank you, Kelly! That is so funny...we used/liked and didn't use/disliked all the same things! The exersaucer was fabulous for Grace before she started walking because she would sit in it every morning while I did stuff around the house!